Redefine what you expect from a paint sealant with the power of beauty and the shine of protection! Pinnacle Black Label Diamond Paint Sealant is the newest revolution in high-gloss synthetic paint sealants. Pinnacle has a tradition of creating dazzling reflections and jaw-dropping finishes by using the finest handcrafted carnauba waxes. Prior to Pinnacle Black Label Diamond Paint Sealant, handcrafted carnauba wax was necessary to create the rich, flowing shine preferred by enthusiasts the world over. Pinnacle Black Label Diamond Paint Sealant is the �wax� of choice for those who desire concours looks and long-lasting, extremely-durable, paint protection. Pinnacle Black Label Diamond Paint Sealant is the first and only synthetic paint sealant that carries on Pinnacle's tradition for creating stunning show cars with an exceptionally organic shine. Formulated with a revolutionary resin-based polymer, Pinnacle Black Label Diamond Paint Sealant bathes your paint in rich and warm reflections that ripple across your automobile. Let not the good looks fool you, this unique polymer forms a tight grid of protection which locks out damaging ultraviolet light and environmental contamination. Packaged in an attractive 8-ounce bottle with an easy-pump dispenser, Pinnacle Black Label Diamond Paint Sealant is effortless to apply and remove. Each bottle contains enough Diamond Paint Sealant to fully treat the paint of up to 30 automobiles. With Diamond Paint Sealant, the latest in resin-based polymer technology works to create a look that is organic and alive. Pinnacle Black Label Diamond Paint Sealant will protect any paint finish for up to 18 months. Whether you prefer a classic show car bathed in coat after coat of lacquer, or pilot the latest super car painted with the newest scratch-resistant clear coat, Pinnacle Black Label Diamond Coating is for you. This resin-based polymer sealant is safe for all paint types and finishes. What's more, Diamond Paint Sealant looks exceptional on all colors. Silvers and metallics will pop with radiance in the sun. Yellows and other bright colors will be near blinding with energy. Black and dark colors will ripple with a warmth typical of a handcrafted carnauba paste. With Black Label Diamond Paint Sealant, Pinnacle's tradition has been amplified. 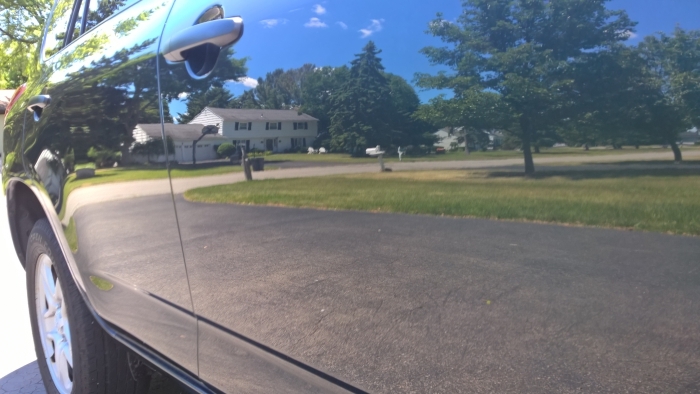 Many paint sealants begin to lose their slickness soon after application, and their performance fades shortly thereafter. Pinnacle Black Label Diamond Paint Sealant not only imparts your paint with an extremely high-gloss, three-dimensional finish, but the unique resin-based polymers form a tight net of protection that will last up to 12 months. Paint protected with Diamond Paint Sealant's combination of premium carnauba looks and beyond-paint-sealant protection not only builds upon Pinnacle's tradition of excellence, it redefines it. Apply Pinnacle Black Label Paint Sealant to clean and cool paint out of direct sunlight. Clay and polish the paint if necessary. Black Label can be applied by hand or with a dual-action polisher and a soft finishing pad. Spread a thin coat onto all paint surfaces and allow the product to dry to a haze. Buff off residue with a clean, soft microfiber towel. This product is very easy to apply and very easy to remove compared to other sealants I have used. It doesn't clean up small tar spots on the paint as easily as other sealants. After application, the surface looks more like a high quality wax was applied and the paint is extremely smooth. ConsNot a great paint cleaner. You will need to do this with a separate product. I was looking for a paint sealant on the site, and was going to settle on another one, but figured, what the heck, and went with the Pinnacle. I was put off by the price, definitely not cheap, but I figured maybe someday my luck would change and something would go right. I did the clay, used the Pinnacle cleaner (which was good as well), and applied the Paint Sealant by hand (partly because I am an old school kind of guy). With the application of the first area, I knew this bottle would do several cars no problem. It spread incredibly easy, and covered quickly. In addition, it came off just as easily, and the shine was pretty astounding. I did my 2014 Corolla, and now the finish is like glass. 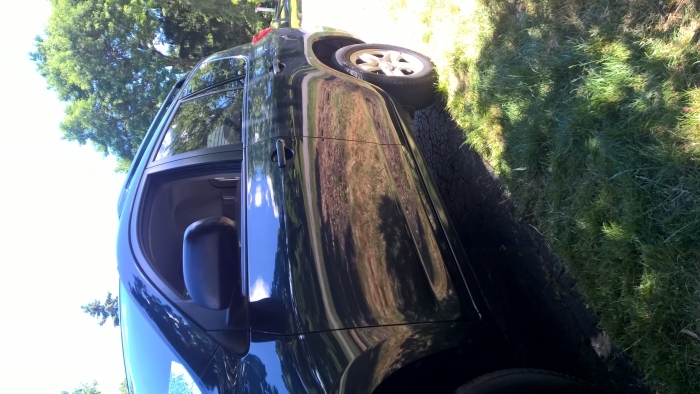 I also did my wife's Rav4, and you can see the pics below. I am debating whether to do a second coat or a coat of pure carnauba, and will probably end up doing one on one car and one on the other just to compare. A few days after, I noticed some chewing gum had sprayed up off a rear tire onto the quarter panel. Typical luck for me, but the real thrill was taking it off with a Kleenex. That's right, just took a tissue and basically lifter the gum off no problem, no marks, no nothing. Very high quality product, I would buy it again in a heartbeat.